A washing machine is a tool that performs the work of cleaning laundry that includes sheets, towels, clothes and so on. We use this term for appliances or machines that use water as the main cleaning solution. In the process of dry cleaning, other types of cleaning solutions are used and these are used for commercial purposes. These days, you can find two types of washers for purchase. These two categories include the top loading washers and the front loading washers. The cleaning of clothes and keeping them dry is again another issue which cannot be ignored. Therefore you have to rely on home appliances such as washing machine to solve the problem. Many of us might be deciding on to invest in a washing machine during this time of the year. It would be an extremely great idea to introduce a washing machine in the house. The reason simply because the market is full of affordable washing machines and the number of clothes one has to clean daily makes it difficult without washing machine. In the top loading model, clothes and laundry are placed in a cylinder in the machine that is vertically mounted. At the center of the machine, there is an agitator acting as a propeller that helps in washing clothes. This type of washing machine uses more water and as a result, more energy is consumed. But, the advantage is that you can load the machine with more clothes in the middle of the cycles. Even if you don't have regular detergent available, these machines perform well. Prices of these washing machines vary and you can even purchase them for as little as Rs.7000. There are also the higher efficiency models available and can be purchased for about Rs.16000. As a customer, it is important for you to consider some factors before making a choice. If your budget is limited, it is a good idea to go with a top loading machine. However, if you got a good budget, you can also consider buying a front loading machine. A front loading washer is more efficient and could be an excellent choice for the best results. Front loading types are available from some different companies and some of the popular ones are from Whirlpool, GE, Samsung, etc. If you have to decide on a choice between front loaders and top loaders, then the former would be a better choice because you can get good performance at a good price. 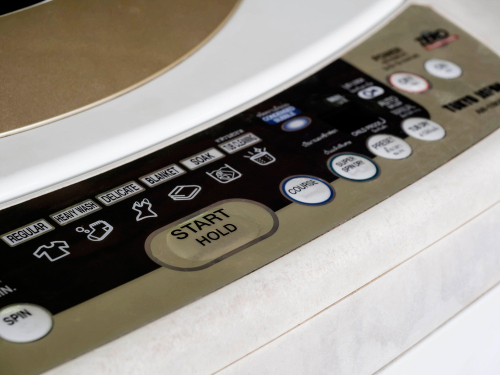 Another important factor to look at when purchasing a washer is its energy usage. These days, you will find a sticker on appliances which will tell you how much energy they are going to consume. Make sure you compare the star ratings of the different brands and models before making a choice. Before buying washing machines, it is important to read unbiased reviews about the different types of washing machines, look for tips to buy the best machine and also compare prices washing machine. It's not uncommon for washing machines to emit an unpleasant odor, but such an odor can hinder their performance. Thankfully, there is no reason why your household should become one of those which suffers from such an unpleasant odor - if you follow the advice below. Your soap drawer is likely to be the main place unpleasant odors come from, due to black mold building up within it. Thankfully, such an issue can be rectified by taking a few simple steps. Firstly, remove your soap drawer from the appliance and place it in a bowl of soapy water to soak. The longer it soaks, the cheap it'll be to brush away any remaining dirt afterward. 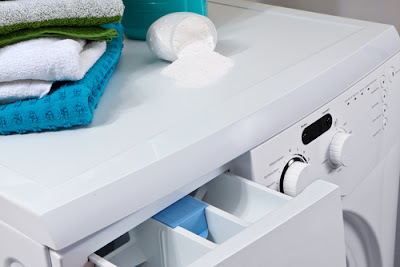 Other ways to help prevent mold building in your drawer, is to open it after each wash cycle - allowing it to ventilate. The seal plays an extremely important role in preventing the washing machine from leaking. But, if left without the TLC it deserves, it can contribute to unpleasant odors coming from the appliance. 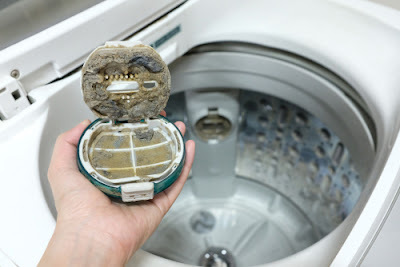 This is because the seal can easily harbor dirt and bacteria, so it's important to make sure you clean your washing machine door seal on a regular basis. While cleaning the seal, it'll also give you the opportunity to inspect it for any damages - and if any are noticed, no matter how minor the split may appear, it's important that you replace the part. Along with taking the time to clean your door seal and dispenser drawer on a regular basis, is the cleaning of the internal parts - including those areas you cannot see. This doesn't involve hours of scrubbing, instead simply placing your washing machine onto a maintenance wash with a limescale and detergent remover can do wonders for your appliance. Such a wash, will help you keep all internal parts clean, remove any limescale and detergent which may have built up and remove unpleasant odors. Along with cleaning your washing machine on a regular basis, every time you use your appliance, there are a few steps you can take to help it run at its peak performance and to reduce the risk of unpleasant odors. On each detergent package, there's advice as to how much you should use, depending on your load. Following this advice will reduce the risk of excess detergent building up, which can alter the appliances performance. If you have heavily soiled clothes, where possible we recommend you rinse excess dirt off before placing them into the machine. This will help prevent dirt from building up in the drum. After every wash, we recommend you leave the door open to allow the appliance to dry naturally. This will help to prevent bacteria and unpleasant odours from building up. Each of the steps listed above will help your appliance work at its peak performance for longer, saving you money in the long and short term, not only by keeping the washing machine energy efficient - but by also by preventing you from having to repair or replace the appliance.